Over the past couple of months, I have been following refugee resettlement efforts in the Tampa Bay area. I’ve been able to meet different resettlement agents from churches, governmental organizations and other groups working together to help those who have fled their home countries for one reason or another. The report below is about a garden for refugees in the Tampa Bay area. St. Mary’s Ethiopian Orthodox Church and Pastor Joseph Germain, who founded Global Refuge Community Church, aimed at helping refugees feel at home and integrate into the community. Common Ground” through Welcoming America, a grassroots-driven initiative promoting collaboration between foreign-born and U.S.-born Americans and residents. Through the initiative, a work day at the garden was dedicated to bringing the community, newly resettled refugees and students together. Here is a short clip including my interview with Janet Blair, the Community Liaison for the SunCoast Region Refugee Services Program at the Department of Children and Families and Pastor Joseph Germain. 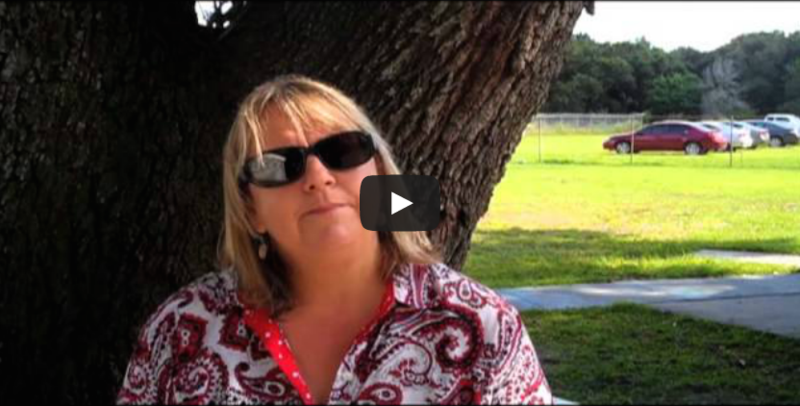 Shortly after this interview, Tampa Bay Gardens was given a $250,000 grant from the Office of Refugee Resettlement at the Administration for Children and Families through the Refugee Agricultural Partnership Program (RAPP). The grant which began on October 1st, 2013 will fund the garden for three years allowing for its expansion and development. Africa Talks welcomes feedback and suggestions for future content. Email or tweet us your questions. Let's keep the conversation going.